In A Whisper of Peace, a missionary to the Indians of Alaska in 1898 meets a beautiful girl who is not in the tribe; will befriending her ruin his mission? Ostracized by her tribe because of her white father, Lizzie Dawson lives alone in the mountains of Alaska, practicing the ways of her people even as she resides in the small cabin her father built for her mother. She dreams of reconciling with her grandparents to fulfil her mother's dying request, but she has not yet found a way to bridge the gap that separates her from her tribe. Clay Selby has always wanted to be like his father, a missionary who holds a great love for the native people and has brought many to God. Clay and his stepsister, Vivian, arrive in Alaska to set up a church and school among the Athabascan people. Clay is totally focused on this goal...until he meets a young, independent Indian woman with the most striking blue eyes he's ever seen. But Lizzie is clearly not part of the tribe, and befriending her might have dire consequences for his mission. Will Clay be forced to choose between his desire to minister to the natives and the quiet nudging of his heart? 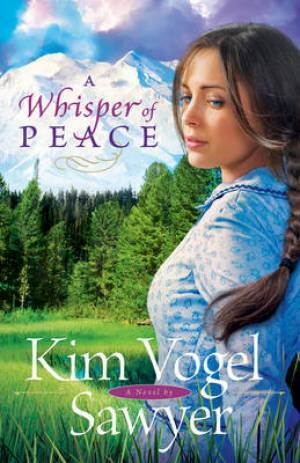 A Whisper of Peace by Kim Vogel Sawyer was published by Baker in October 2011 and is our 21918th best seller. The ISBN for A Whisper of Peace is 9780764207853. Be the first to review A Whisper of Peace! Got a question? No problem! Just click here to ask us about A Whisper of Peace.